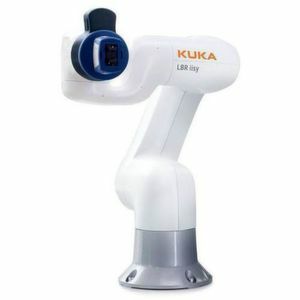 The ‘e-series’ by Universal Robots includes three versions – the UR3e, UR5e and the UR10e. Added with new and enhanced features, the ‘e-series’ was one of the most stunning innovations showcased at the world’s biggest show for industrial technology. Universal Robots is one of the pioneers in the cobot industry. 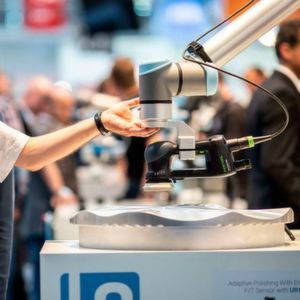 With time, the firm has introduced many upgrades to its existing flexible and lightweight collaborative robots but at this year’s Hannover Messe, the company showcased its new range of cobots – the e-series. Ideal for small and medium-sized enterprises, the ‘e’ in the series stands for empowering, ease of use, everyone and evolution. The series comprises of three models – the UR3e, UR5e and the UR10e. Lightweight and easy to redeploy to multiple applications without changing production layouts, the new range of cobots can be shifted conveniently between tasks. It is able to reuse programmes for recurrent tasks and offers customers the flexibility to automate multiple manual tasks within one production facility with a single cobot. The cobots come equipped with an intuitive 3D-interface which makes it convenient for anyone to become a robot programmer even if they do not possess prior experience. A user friendly and intuitive teach pendant allows operators to programme a cobot by moving its arms to the desired waypoints, or simply using drag-and-drop functions on a touch screen tablet. The cobots can be set-up only within a few hours and can be connected to any power outlet. With the assistance of an intuitive user interface, the set up, installation and integration into one’s production line becomes easy. 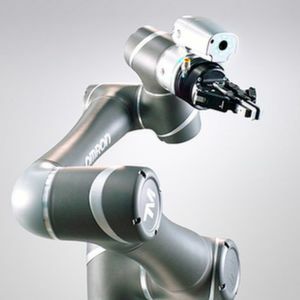 The cobots are also equipped with 32 industrial I/O connectors (24 volt) and Ethernet connectivity. The cobots are capable of undertaking tiring tasks in dull environments. The three versions are certified by TÜV NORD for ISO 10218-1 and safety functions are rated as Cat.3 PL d according to ISO 13849-1. The cobots can work together with human operators due to its in-built safety features. The UR3e cobot is a petite cobot with a payload of 3 kg and can reach a radius of 500 mm. The mini collaborative robot is capable of performing high precision as well as light assembly tasks without much difficulty. The wrists of the cobot move in a 360 degree rotation. The second in line is the medium sized UR5e cobot which boasts of a payload of 5 kg and a reach radius of 850 mm. Quick set up and easy to programme, the cobot proves beneficial for automating low-weight processing tasks. With a reach radius of 1,300 mm and a payload of up to 10 kg, the UR10e is considered to be the most powerful collaborative robot in the series. Capable of automating tasks and carrying out diverse functions such as packaging and palletizing, the cobot also offers high precision. The new ‘e-series’ range of cobots attracted footfalls in large numbers at Hannover Messe. Looks like Universal Robots would be expecting a rise in their sales soon.